Michigan Comic Con will cater to the fanboy, or fangirl, in you. Along with the previously mentioned celebrity guests, the con will also feature booths containing comic books, magazines, toys, games, cosplay, artwork, sketches and apparel. You can even check out one of the handful of cool panels and events going on throughout the weekend. 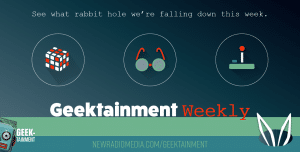 So come join the Geektainment Gang as they explore and share the excitement and awesomeness of the weekend! Michigan Comic Con debuts on August 17-19, 2018, at the Cobo Center – Hall C. Tickets range from $30-$60, and kids 12 and under are admitted for free. With so many things to see and do, what are you waiting for? Don’t miss out on being part of this historic con. Michigan Comic Con is produced and promoted by Imaginarium LLC, who produce four other comic conventions around the country. class="post-template-default single single-post postid-7404 single-format-standard samba_theme samba_left_nav samba_left_align samba_responsive wpb-js-composer js-comp-ver-5.7 vc_responsive"